Believe it or not, there are an average of 220,000 wedding proposals on Valentine’s Day each year and many couples love the idea of getting married on or close to Valentine’s Day! It is classically known as the Day of Love. February 14th is the day where people show their feelings of love, affection and friendship so it’s not surprising that couples want their wedding to happen during this time with this aura surrounding their big day. Red has long been known as the true colour for Valentine’s Day. Venus, the Roman Goddess of Love adored the red rose. The red rose represents strong romantic feelings and red is symbolic of the heart. 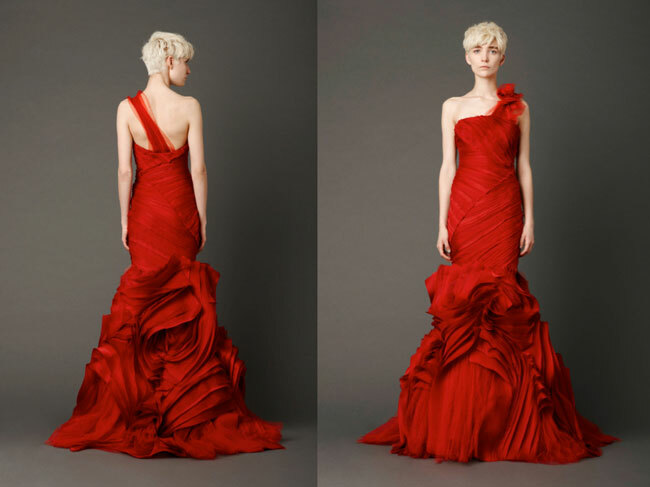 Often couples getting married in February choose red as their main or accent colour. Take a look at some of the red items we have found to inspire you if planning a Valentine’s Day wedding. Bridal designers such as Vera Wang have been aware of this trend and are selling bridal gowns in various hues of red to brides wanting to wow their guests with something other than traditional white. Here are some other great ideas of how to add the colour red to your wedding even if only an accent colour. 1. “Forever Young” nail polish by Essie, 2. “Diorific” lipstick by Dior, 3. Mother of the Bride dress by Wd.co, 4. Red Roses Bouquet, 5. “Catrina” Red satin rose clutch by Franchi, 6. “Delahanty” Pump at ‘Call it Spring’. 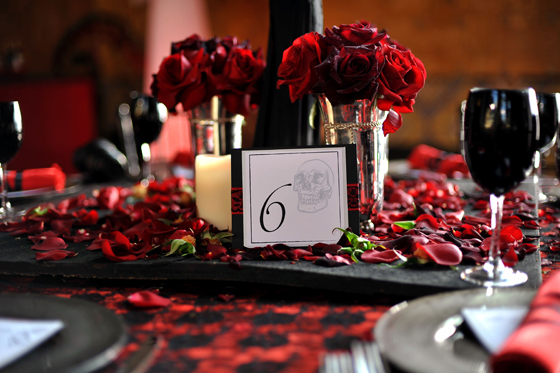 Wedding Planner David Tutera decorated a Valentine’s Day Wedding in silver, red and black ending with a stunning effect for the couple and guests. Red is a striking colour for a wedding and can be added to various degrees depending on the effect you are after. To see more great Valentine’s Day Wedding ideas check out our Pinterest board.